Say that you’ll join us! RSVP here. Upcoming Events: Be In The Know! Social Networking…… Don’t miss out! ELECTION DAY IS TUESDAY, NOVEMBER 7th! Early voting for the November Election begins today, Monday October 23 and continues through Friday November 3. Election day is Tuesday November 7, 2017. Check out our last email blast for more information HERE. Davey is very involved with the Protect our Alamo movement as well. Join us as we get to know him and his candidacy. Author clearlaketeapartyPosted on October 29, 2017 Leave a comment on Upcoming Events: Be In The Know! Clear Lake Tea Party’s Lunch & Learn is baaaaack! Tom Glass is a brilliant attorney who will present his case for Jury Nullification and its benefits toward pushing back a bloated, intrusive government. As a bonus, Kathy Glass will give a post-85th Legislative update, focusing on Gov Abbott. Who is they? Those who provide cover to lazy, squish politicians, such as the Republican Party of Texas’ legal counsel – Eric Opiela. SB1666 is a 28-page bill. All but two items simply perfecting and or codify how we already do things…in other words it’s house cleaning. There is an increased penalty tag on the bill, which would makes someone who votes in both the Dem and Rep Primary in the same cycle a 2nd degree felon. It’s a solution in search of a problem. This bill also has wording to make organized election fraud a crime, something we desperately need. But the bill is nothing but smoke. It is not paired with wording creating the crime. What is the offense? They conveniently left that out. HB2691 targets nursing homes. Interestingly, I’m not aware of a single documented case of verifiable nursing home voter fraud. When these bills were heard in committee, no one showed up with testimony about this being a problem. Mostly this bill creates a lot of work for the county and accomplishes nothing. Then again, lawmakers often hang their hats on bills with nice titles that accomplish nothing; it’s the TXLege way. HB1735 is not a reform bill. This bill codifies how to run primary elections, who pays for what…oh, and what oath the election judge should recite. While these things are needed in the code, they hardly classify as “meaningful” reform addressing election our current integrity issues. HB4034 – this is a good bill. But doesn’t materially solve any of our challenges right now. It simply allows the Secretary of State to take very limited steps to eliminate certain duplicate registered voters. Again, I’ve seen no instance or data suggesting this has ever been a problem. What proposals should have passed? How did the #TXLege fail Texans? Let us count the ways. SB136 by Van Taylor and HB3474 by Fallon both would have required the Secretary of State (SoS) to use various tools, like the existing DPS database, to verify citizenship for those registering to vote. For those seeking voter-roll integrity, it doesn’t get much more simple than making sure all voters are citizens. Both bills died. HB4131 and HB4133, both by Fallon, would have increased penalties for voter fraud crimes from simple misdemeanors to State Jail Felonies or above. You want to end vote harvesting like we’ve seen in The Valley, Tarrant County, and Dallas? We need to give law enforcement tools to prosecute. These bills would have done that. Both of these bills died in Calendars in the House. HB4134 by Fallon is an organized crime election fraud bill, which would have given prosecutors the tools they need, but ONLY if coupled with the increased penalties in HB4131. Not surprisingly, this also died in House Calendars and is not the language Huffman picked up in the Senate. HB2691– On Senate floor, Republicans voted against paper ballot options for counties using vote centers. 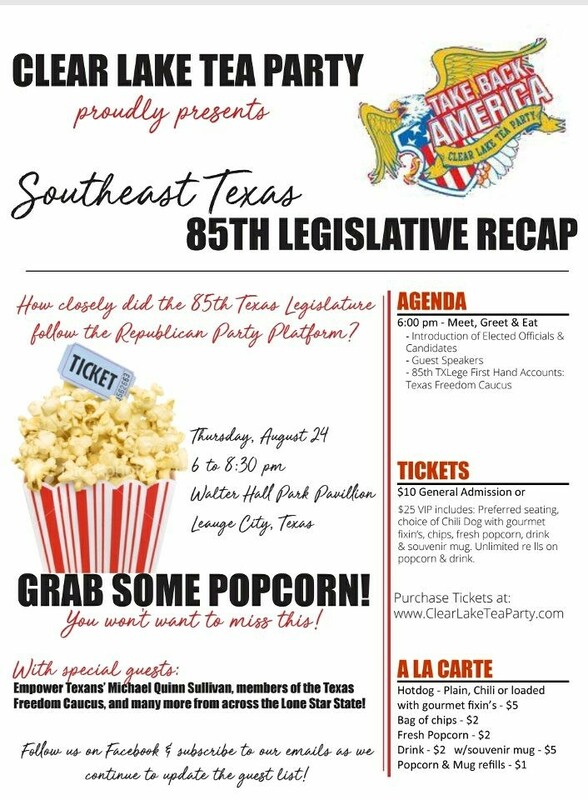 Republican Senators ignored Texas Republican Party Platform, #59 related to paper ballot options. for Election Integrity & Ballot Security. Click here to read our coalition letter to Gov. Abbott & sign the petition yourself. Aaron Harris, Direct Action Texas, will deliver the petition to Gov. Abbott. with your family, friends & colleagues. Send them the link to our letter & anti-voter fraud petition. Stop the Madness: #TXlege Budget Action Item! Calling the Texas Grassroots Army: All hands on deck, today! This cannot wait! The State Budget Conference Committee is still meeting to resolve the budget differences before the budget goes back to both the House and the Senate to be voted on. Agreement has not yet been reached. Our pro-life wins in the House are also in jeopardy of being removed! 3) No raid on the Rainy Day Fund or Transportation funds! 6) Ensure 24 full payments to the Permanent School Fund – no budget gimmick here! 7) Don’t rob basic school funding for new Pre-K programs. Even if you don’t agree with all of these points, pick those you do and contact the Budget Conference Committee members ASAP! If you wait, it may be too late & then we’ll be faced with trying to defeat the budget – which is MORE difficult! Take Action – Step 2: Contact your own State Rep & State Senator with this same message! Let them know exactly what you think about these budget items! If they get enough calls, they will weigh in with the Conference Committee too! Thank you, Mighty Texas Grassroots Army! Author clearlaketeapartyPosted on May 25, 2017 Leave a comment on Stop the Madness: #TXlege Budget Action Item!